Photo taken at the launch of ‘The Seamed Zones’ on 12 October 2017. 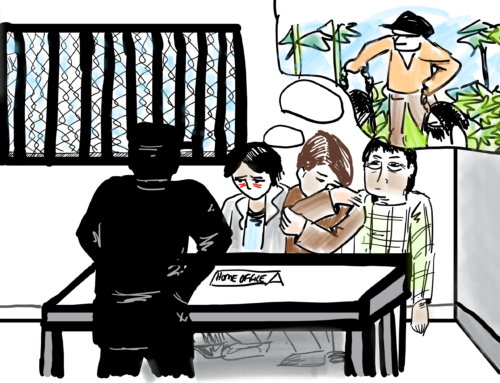 Where does ‘invisibility’ of immigration detention centres start? 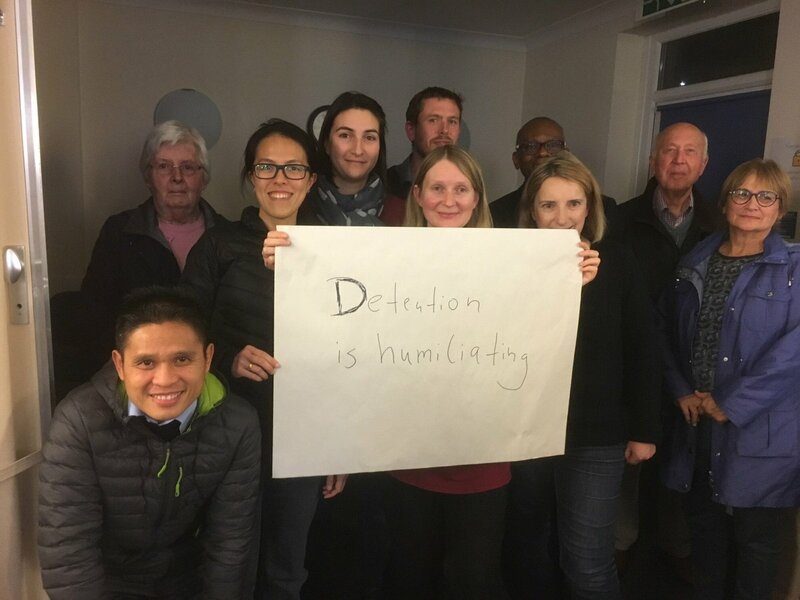 Ben du Preez, Campaigns Coordinator at Detention Action, stares into the gap between nonplace-ness of detention centres and their material human impact and finds hope in Experts-By-Experience’s power to bring the truth to light. Last week, I delivered a speech alongside Michael from the Freed Voices group at the launch of Rob Stothard’s new photo exhibition on detention, entitled ‘The Seamed Zones’. In perfect dovetail with Unlocking Detention, it is an exhibition which addresses one of the main paradoxes of immigration detention in this country: that despite being one of the most flagrant abuses of civil liberties and human rights in the UK today, the physical sites of this extreme form of physical and psychological violence still remain hidden in plain sight for many members of the public. One of the first photos in the exhibition that catches my eye is of the sign for Twinwoods Business Park near Milton Ernest, a small village about 60 miles north of London. It is a sign that leads drivers into a cul-de-sac where one can find, among other things, Bedford Pets Crematorium, an office of Bedford Borough Council and the headquarters of a company that offers indoor skydiving. The buildings are all unremarkable in their appearance and give few clues as to the practices unfolding inside. There is seemingly nothing to challenge in this banal, Grey nothingness. Everything about it suggests it is one of those common spaces that most people in UK move freely in and out of every day without so much as a second thought. In the corner, however, there is a small concrete pocket holding four hundred people, who cannot leave, or lock eyes with the rest of us, or explain who they are. They have no idea when they will be freed and have extremely limited resources to help them get out. 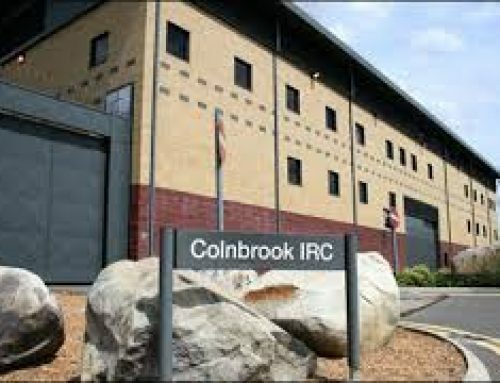 They are trapped in Yarl’s Wood detention centre, perhaps the most infamous of all detention centres in the UK, and the focus of #Unlocked17 tour between 23 and 29 October 2017. Yarl’s Wood is in no way unique in this respect. 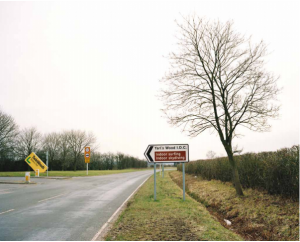 Stothard documents every site of immigration detention across the UK – from the short-term holding facilities up in Larne House, Northern Ireland, down to the Verne detention centre on the Isle of Portland – and shows how each of them are reached from everyday roads on the fringes of rural lanes, within the perimeter of airports, or along the exterior walls of former prisons. All of them sit on the ‘seamed zone’ between free and restricted movement. All of them are representations of the way the industrial-immigration-complex has created new physical landscapes, or at the very least re-articulated existing ones into something else. As the exhibition curator, Nicole Sansone, notes, “in an era in which private interests and discriminatory legislation that articulates the infrastructure of segregation and surveillance has become commonplace, IRCs can appear to represent a smooth line of continuity with the fields, fences, homes, businesses and transport hubs in their midst.” This ‘smoothness’ does two things. 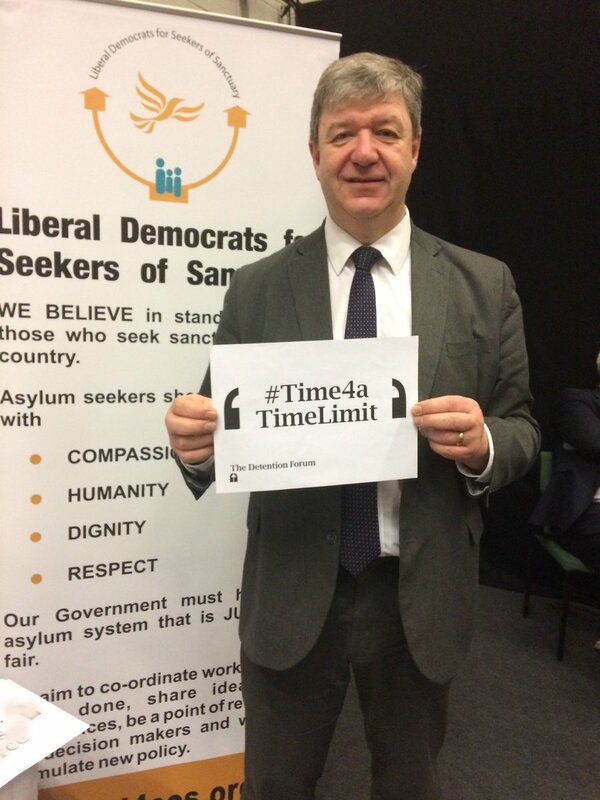 Firstly, it allows detention centres to go un-seen. Members of the public can almost unconsciously navigate them in the same way pedestrians might move past/through some one begging for money on the street: they can ignore that which they think does not directly impact their familiar lives. Secondly, it obliterates the question of access: notions of belonging and exclusion have been so normalised, so smoother over, that some seem to have forgotten to even dispute the very idea of detention in of itself. The reality is that the ‘invisibility’ surrounding detention centres does not start with the buildings themselves. It starts with the casting and portrayal of those warehoused inside. Career politicians and the gutter press have long cast migrants as monstrous, Others, unchecked, bogus, illegal, temporary. As Freed Voices noted in their recent submission to the Home Affairs Select Committee; “The Government and the press talk about us like we aren’t even human beings. So in detention we are seen as less than animals. We’re just commodities.” This process of dehumanisation, active long before the decision to detain, justifies and enables detention to continue unchecked. On a collective level, it translates into around 30,000 people detained each year. On a personal level, it means individuals are locked away for weeks, months, and sometimes years. 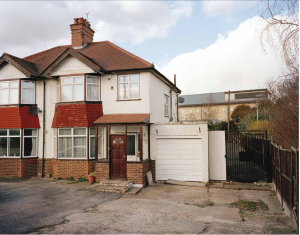 Sansone describes the UK’s detention estate as a ‘geography of fascism’ and too often fascist policies benefit from invisibility, or partial visibility, growing in the shadows, in silence. 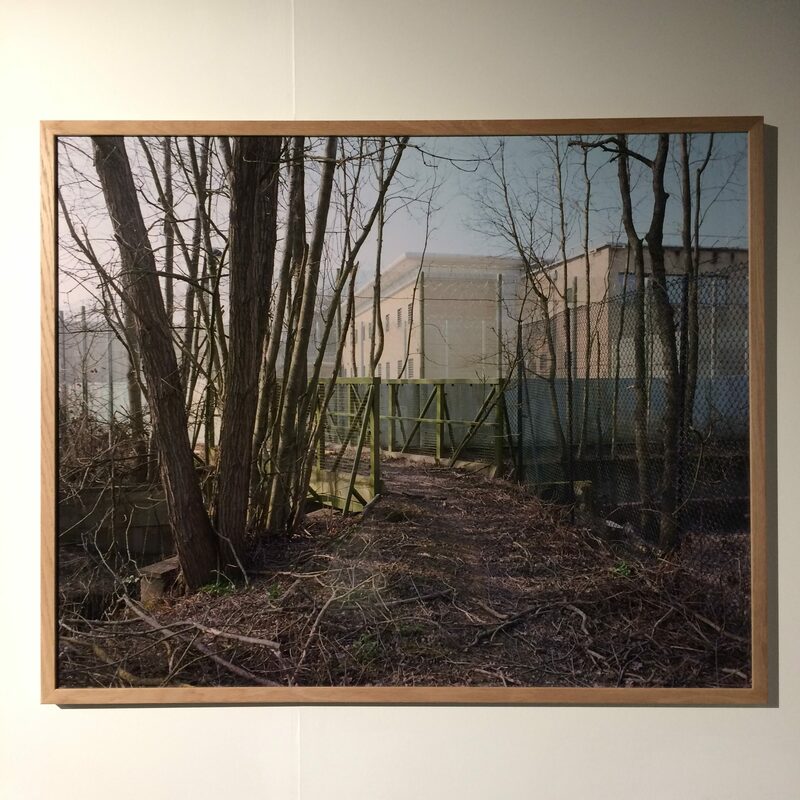 When Michael stood up at the exhibition opening and spoke-out about his experiences of detention and the changes he wants to see, he took a wrecking ball to the architecture of detention. His words offer a direct block on the co-operation of racism and power, making visible the sites and processes the Home Office would otherwise have hidden away or slip quietly into the landscape around us. Stothard’s photos seek to do a similar job, as does Unlocking Detention. If you’re not already involved in shining a light on these sites of estrangement, it might be worth asking ‘why not’? 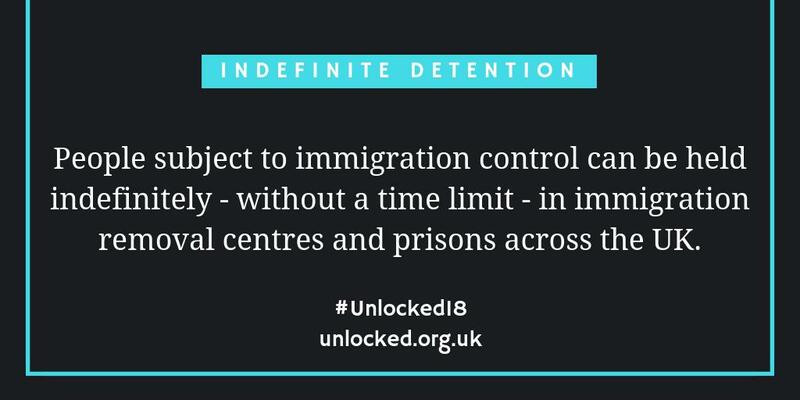 Get involved in this year’s Unlocking Detention! More information here. 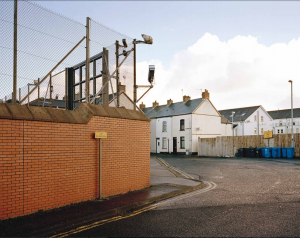 Rob Stothard’s photography exhibition – ‘Seamed Zones: The Everyday Life of Immigration Removal Centres in the United Kingdom’ – runs until the 29th October at Sluice Art Gallery, Arch 11 & 12 Bohemia Place, E8 1JB, London.